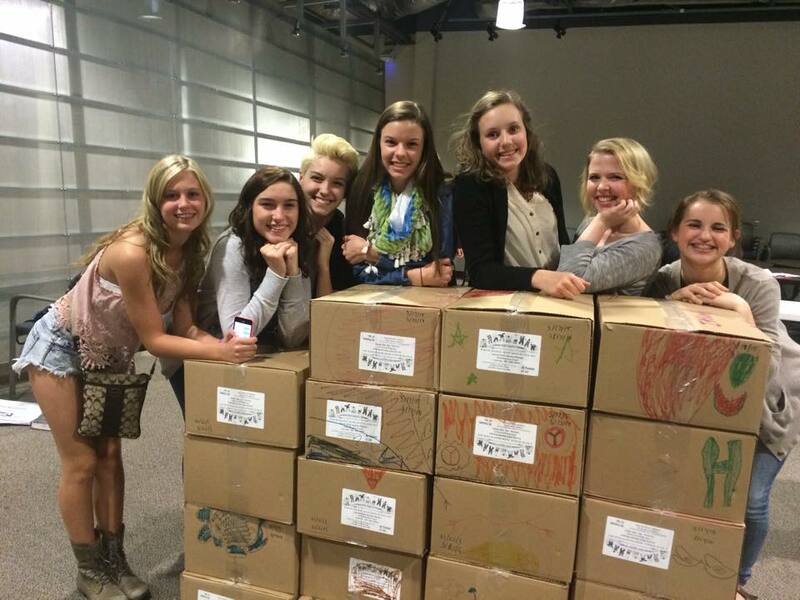 As I’ve noted countless times, these young women are about so much more than makeup, hairspray and heels. They want to make a difference. They want to make people smile. They want to improve lives. In some cases, they want to save lives. A powerful message shared by a passionate, young advocate. Makenzie is a student at St. Patrick’s High School in North Platte, describing herself as hard-working and dedicated. That mentality helped Makenzie win the title of Miss Northwests’s Outstanding Teen last fall, something she had hoped for for several years. And Makenzie embraces ALL aspects of the organization, not just what she saw that night on stage. In addition to her high school studies and activities, Makenzie has embraced her role as a community leader and public servant. She has visited classrooms to read, emceed charity events like the Bowl-A-Thon for Junior Achievement of Lincoln, and visited with the little girls who look up to her just as she did not so long ago. 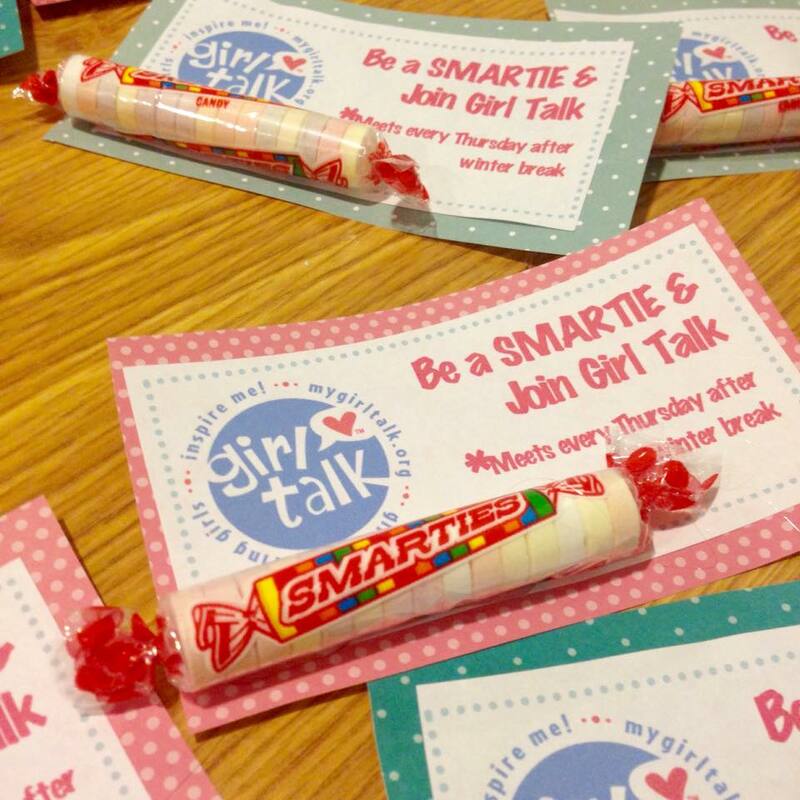 Makenzie ordered and distributed awareness bracelets at school assemblies. Her school rallied behind her efforts, gathering all students for a presentation by Makenzie on suicide awareness. (An event covered by KNOP – click here to watch their story!) She’s also visited state senators in Lincoln to advocate for suicide awareness legislation. 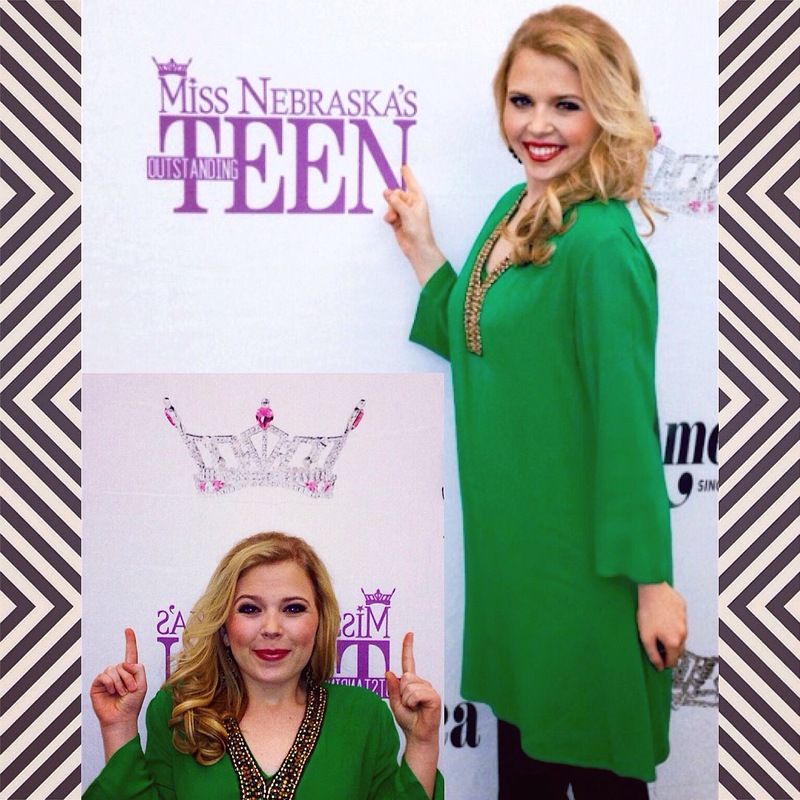 Makenzie hopes to broaden her message even more, by becoming Miss Nebraska’s Outstanding Teen later this month. 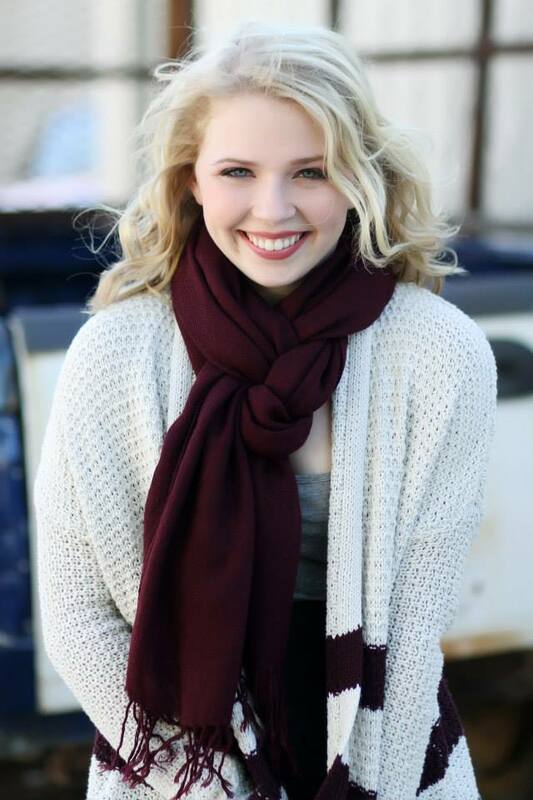 Makenzie notes improved communication skills, friendships, and the chance to share one of her other passions: dance. Makenzie used one more word to describe herself: kind. 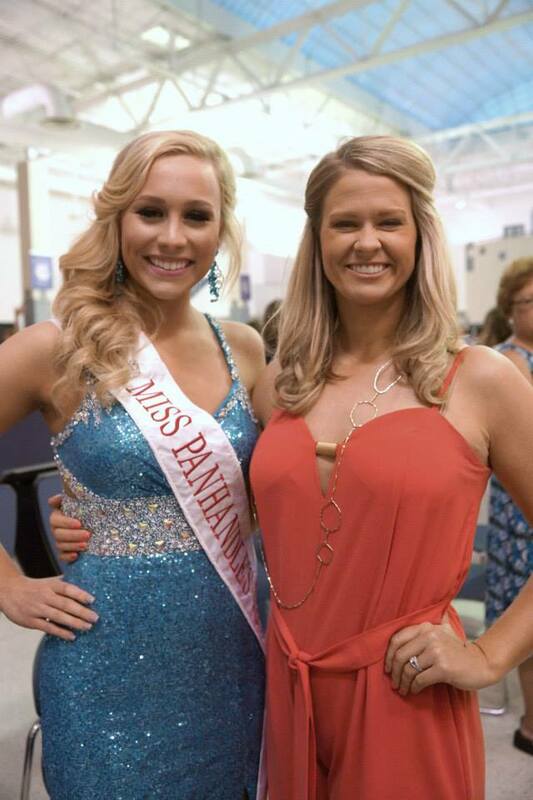 And perhaps, that’s where this young woman’s story about pageants, performance and passion comes full circle. I’d argue this is the biggest point we can all take away from this young woman and outstanding teens like her. What kind of difference can you make in the world today by simply asking questions, caring, and being kind? Makenzie Davies wants to find out. 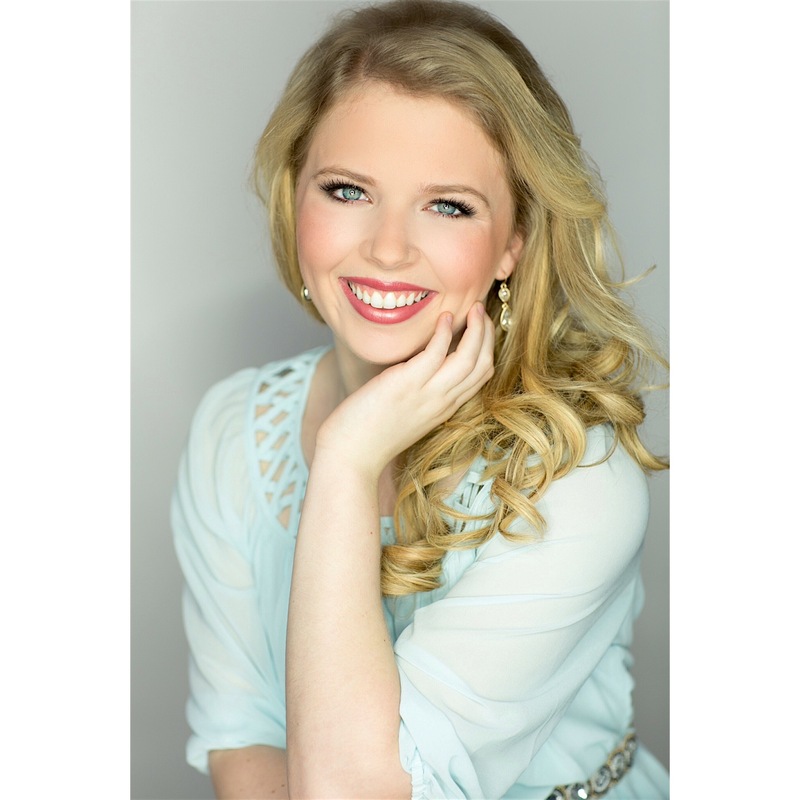 Click here to follow Miss Northwest’s Outstanding Teen 2017 Makenzie Davies on Facebook! 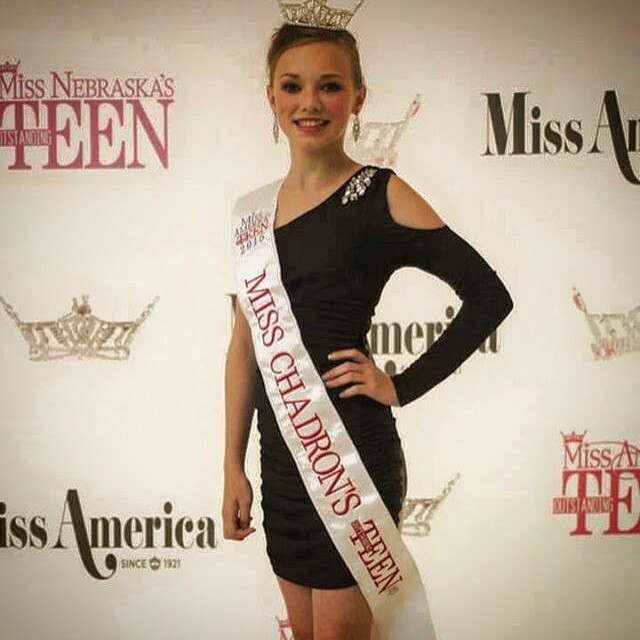 For more information about the Miss Chadron/Miss Northwest/Miss Fur Trade Days’ Outstanding Teen Program or for information about becoming a contestant, CLICK HERE to follow the organization on Facebook. 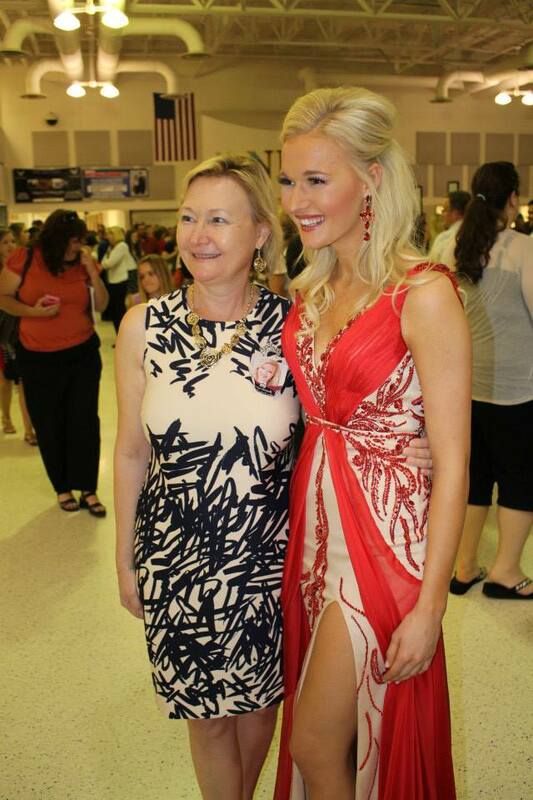 You can also email Director Amanda Vogel by emailing maoteenchadron@gmail.com or calling 308-665-5595. I had four words listed on the back of my high school letter jacket. I had friends who shook their heads and cried NERD. They were probably right.. I mean, who does that!?! But you know what? I was PROUD.. and I’m still proud today. I’m a 3-time high school state champion in Nebraska with two individual titles in Persuasive Speaking and a team title for Mock Trial. My weekends from October to May were spent like this.. waiting for food with my team at any local Valentino’s or Village Inn we could find after a long day of competition. We worked for weeks prior fine tuning our speeches, our interpretations of plays and poetry, and our research and knowledge of current events. I think those days served us pretty well.. the two people in this picture are still my friends almost 20 years later. Cassie is a respected pharmacist, wife and mom on the east coast, John was my fellow KETV reporter and meteorologist before joining the private sector and raising three boys (one a foster kiddo) with his wife in Texas. We ALL use public speaking in our jobs, and we are all better in our careers and beyond because of those long days and quick years at speech tournaments. To those who didn’t compete with us, we were likely just the weirdos they saw talking to walls. To everyone in our circle, the more you practiced to that audience of brick, the more often you’d see your name on those ‘finals’ lists, and the more trophies you brought home at the end of each weekend. Times may have changed since my high school years (if you need proof, look at my hair again..) but that unspoken thread connecting speech kids is still strong. Now though, as I’ve learned from Scottsbluff High School’s Ashlynn Haun, we’re called ‘speechletes’. That devotion to her community and those in it led Ashlynn to several service projects, often with 4-H Junior Leaders. 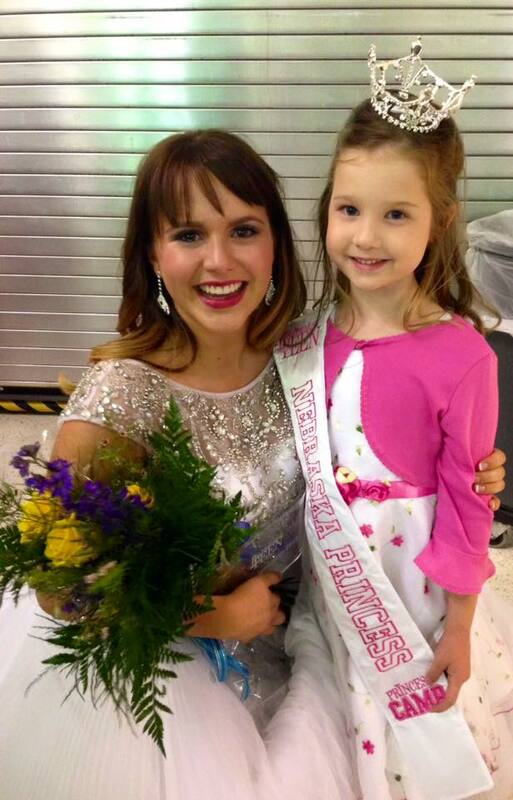 She wanted to become more involved and meet more people.. and found the Miss Nebraska’s Outstanding Teen program. 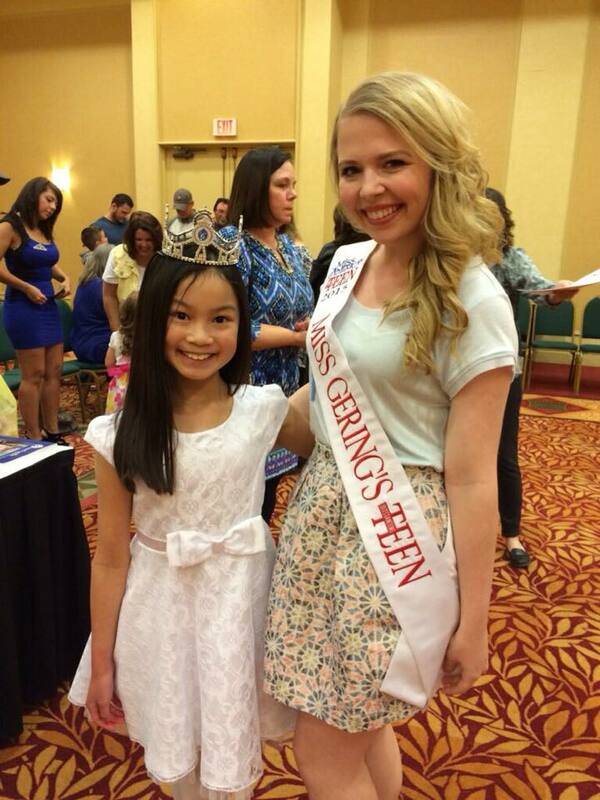 Ashlynn was crowned Miss Gering’s Outstanding Teen last fall. Ashlynn does that both through philanthropy and emotion. 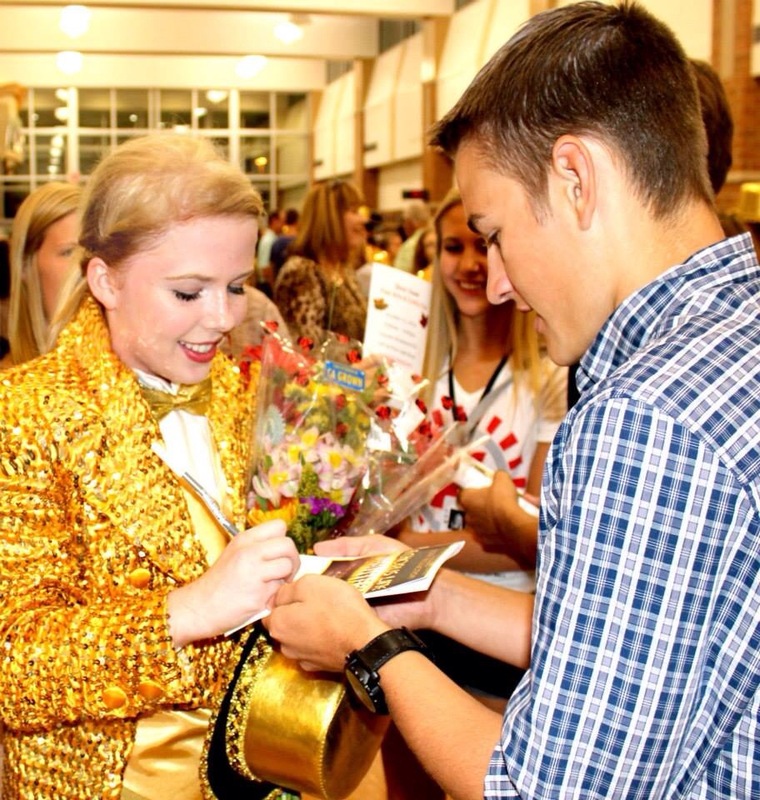 She often gives back through dance, sharing her gift with audiences as both Miss Gering’s OT and as a teaching assistant at Tabor Dance Academy. Ashlynn is also focused on her personal platform, ‘We Are All Survivors’, advocating for cancer survivors and their families. Here’s a young lady who not only has big ideas, she’s using her words and abilities to bring those visions to life. She also admires those same traits; when I asked her who her role model is, she didn’t name a celebrity or high-profile stranger. Speech kids RULE. Speech kids who are also pageant girls are AWESOME. These women aren’t just talking to walls or waving manicured hands, they are promoting causes and showing everyone around them the power of grace, intelligence and positivity. Ashlynn Haun wants to represent all of that.. along with her school, her hometown, and speech kids everywhere. 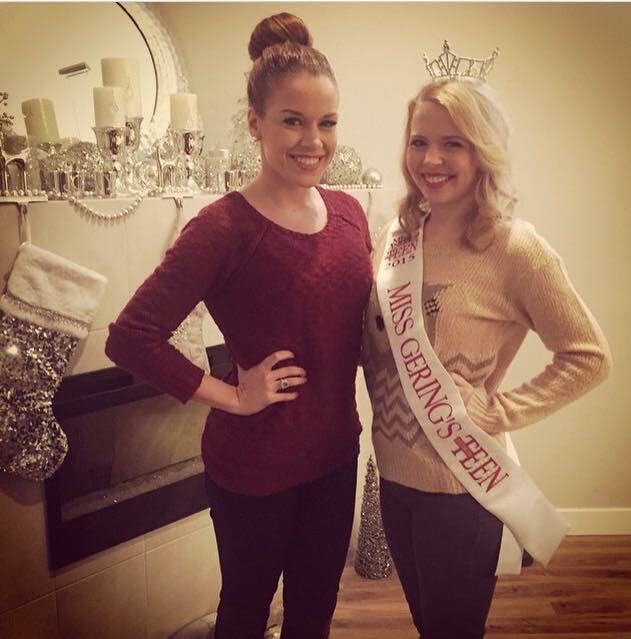 CLICK HERE to follow Miss Gering’s Outstanding Teen 2016 Ashlynn Haun on Facebook. You can also contact Ashlynn for appearances and events by emailing ashlynnhaun@gmail.com. 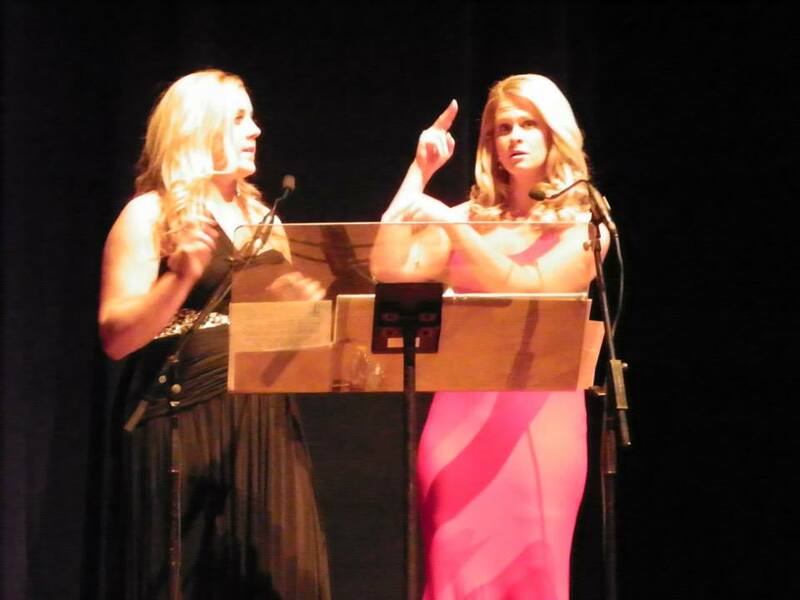 For more information about the Miss Gering/Miss Western Nebraska’s Outstanding Teen Pageant, visit THEIR FACEBOOK PAGE. For information on becoming a contestant, contact Director Kyla Ansley at 308-631-0938 or by email at kyla_ansley@hotmail.com. 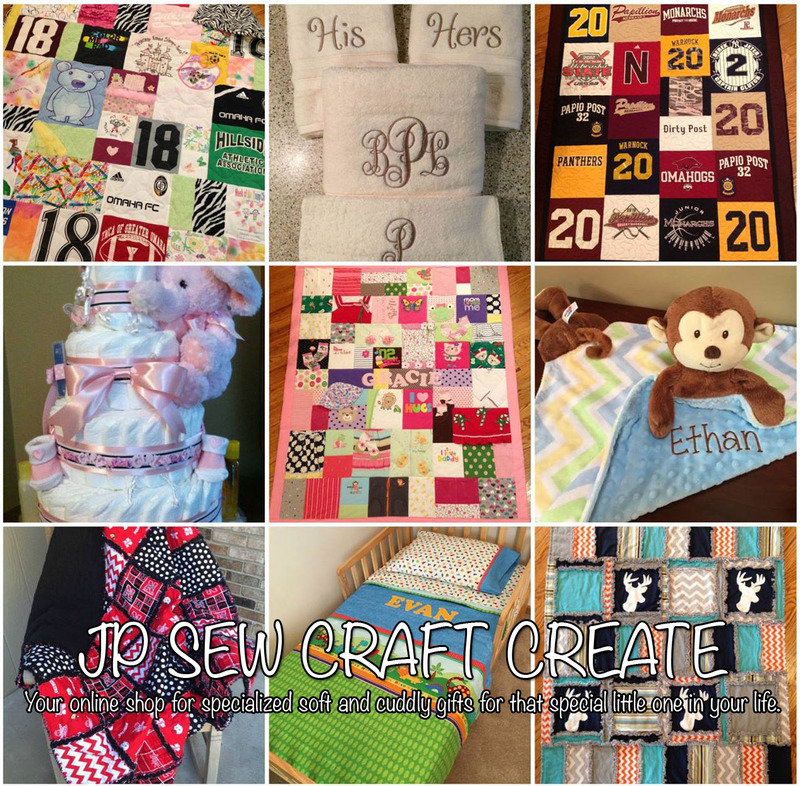 You can also email thirtyone.hayes@yahoo.com. PREVIOUS.. Miss Nebraska State Fair 2016 Payton Merritt! NEXT.. Miss Gering 2016 LaRissa McKean! Well, HELLO!!!!! Long time no post! As always, THANK YOU for reading the blog! I have been ‘off the grid’ for most of the month of June. Vacation, time with family, heaven at home. Sometimes you just need to take a deep breath, step back, close your eyes and BE. I feel refreshed, rejuvenated, and reminded of who I am. GO OFF THE GRID! IT’S GREAT! Even if just for a few days. Before my amazing time at home with the three men in my life (four, if you count our dog, Mack), my hiatus began with a long awaited trip to North Platte, Nebraska. 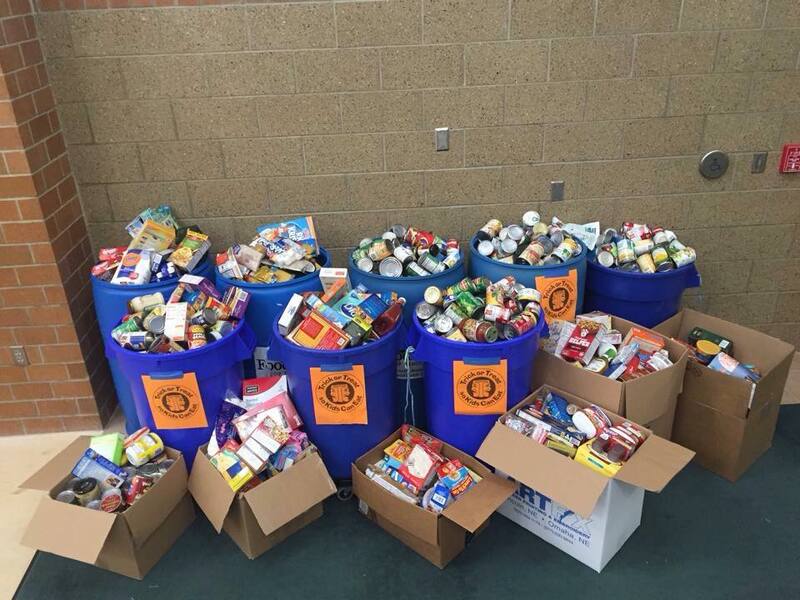 Photo courtesy of Corbey Dorsey for the North Platte Telegraph; click here to read the NPT’s wonderful article on Alyssa by reporter Kamie Stephen! 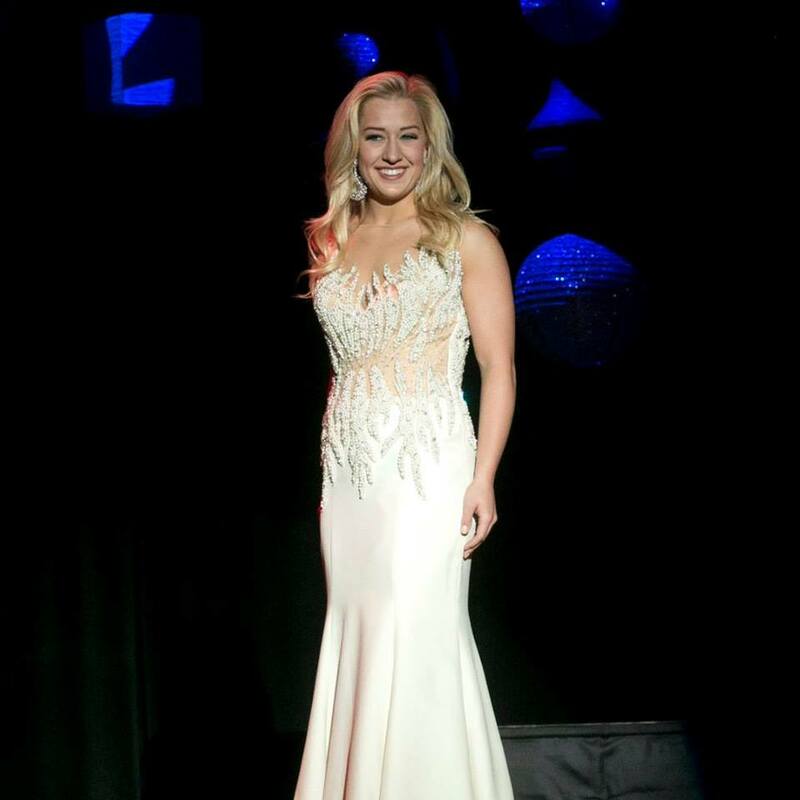 After seven days of rehearsals and events, four days of nerve-wracking competition, a lot of laughs and some tears, too.. Miss Douglas County Alyssa Howell was crowned Miss Nebraska 2015. What an INCREDIBLE moment to cap off a wonderful week for this caring, young woman. Alyssa has dedicated so much of her time to others. She is sweet, kind, hard working and focused. 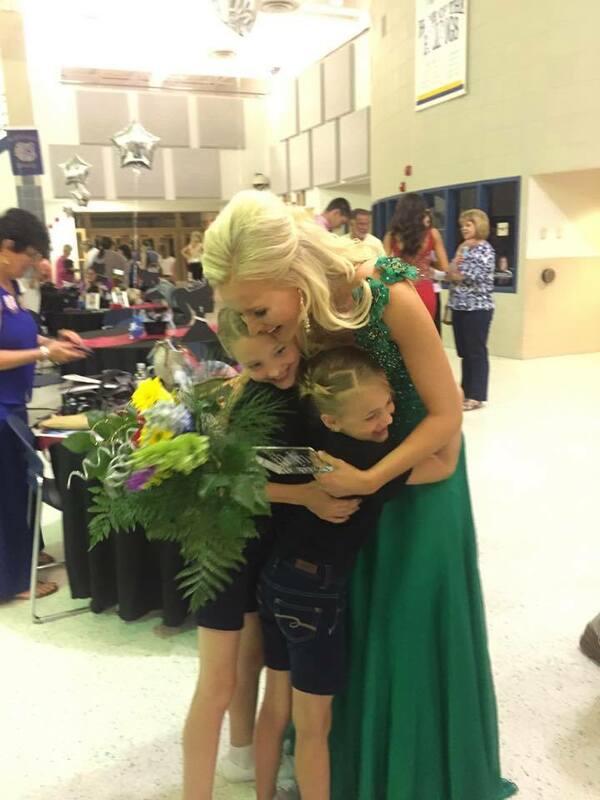 For five years, she also watched her big sister compete at both the Miss Iowa and Miss Nebraska pageant, finishing as a finalist multiple times. THIS MOMENT WAS ALL ALYSSA. SHE WILL NOW FOREVER BE MISS NEBRASKA. 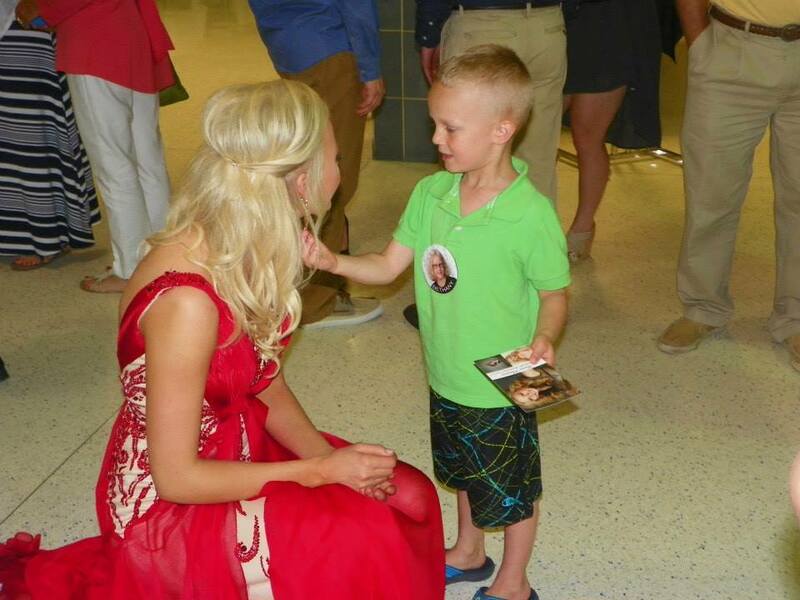 So many cool moments; the kids who just LOVED Alyssa, including her Little Sisters who took part in all of the Miss Nebraska events at her side, and the little boy who not only wanted one kiss, he circled around for a second. 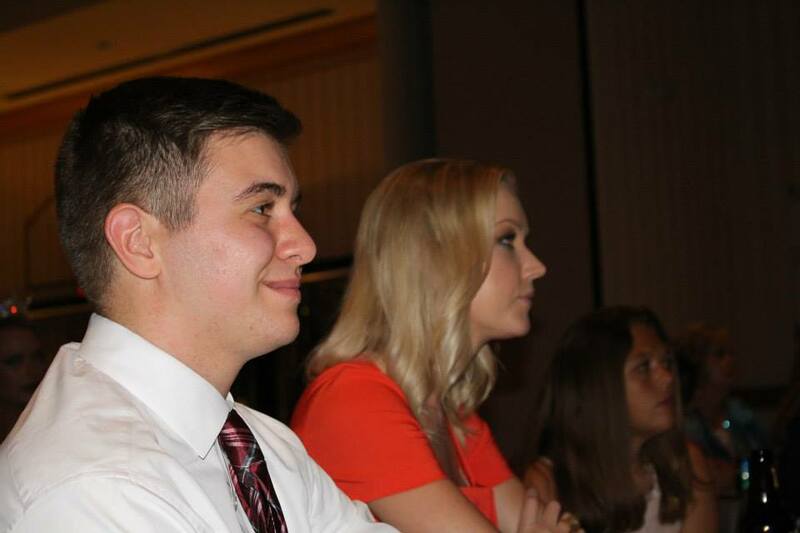 Alyssa’s real boyfriend, Grady, and his excitement and sheer pride every moment leading up to his girl’s crowning moment. 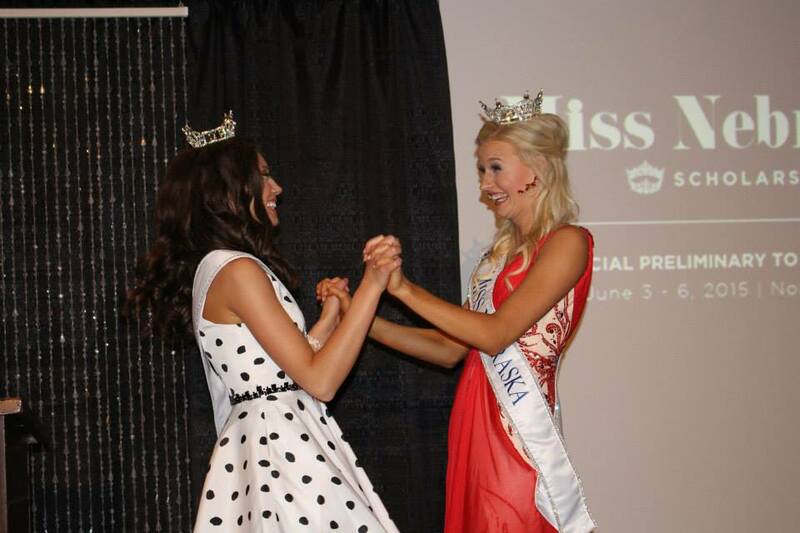 Shrieks of joy between Alyssa and the new Miss Nebraska’s Outstanding Teen 2015 Steffany Lien; the two have been Miss Douglas County sisters for months, now they are going to Miss America together. 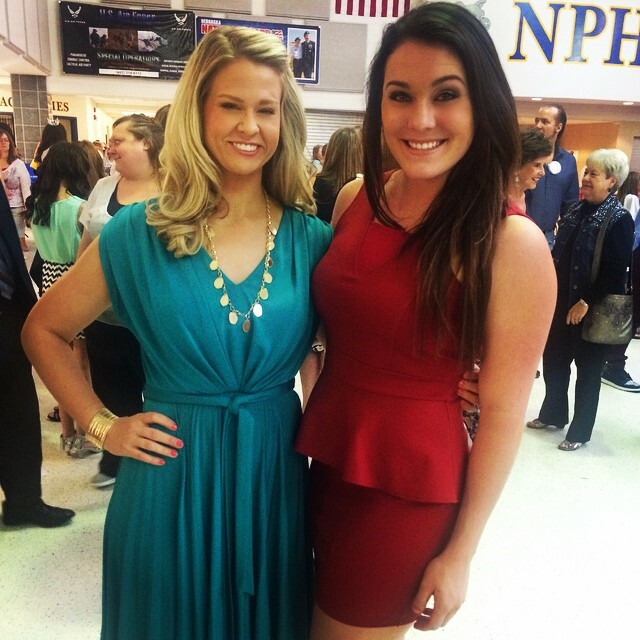 And the heartwarming friendship and bond between Alyssa and her sister queen Miss Omaha Megan Gould, supporting each other from Omaha to North Platte and still to this day. But.. I’m going to throw this out there.. was Alyssa ‘the best’? How do you choose which flower is ‘the best’ in the garden? Which city is ‘the best’ in our state? Which art, whether it be singing or dancing or playing piano, is ‘the best’? 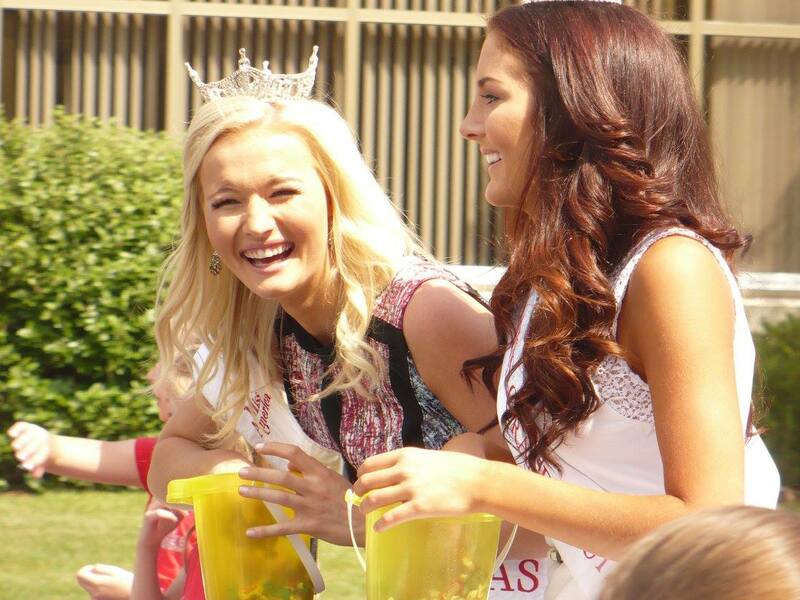 Alyssa will be a FANTASTIC Miss Nebraska and I cannot WAIT to see how far she’ll go at Miss America. This is Alyssa’s time; this is the result of her hard work; this recognizes an exceptional young woman, helping her to inspire so many more; and five smart, talented, and critical judges determined Alyssa Howell was the best candidate for this job as Miss Nebraska 2015. The best of the best, you might say.. because HOLY CRAP, did this event showcase some absolutely incredible women in our state. JOYFUL. 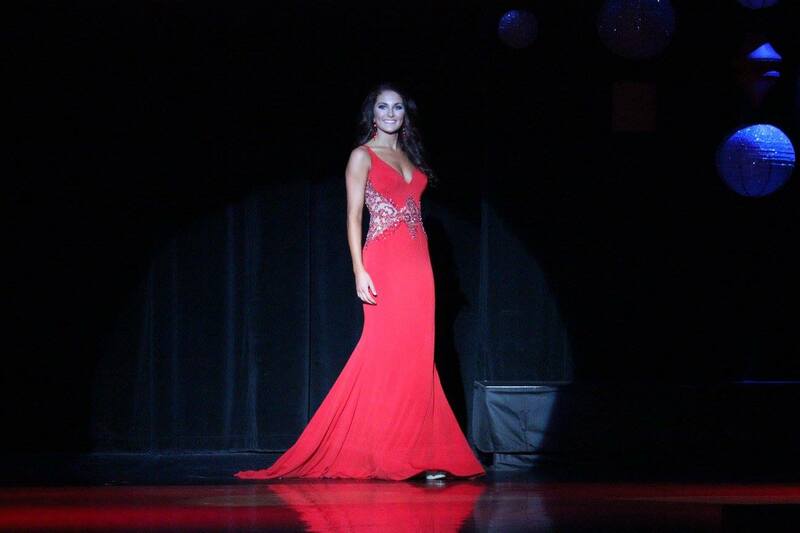 LaRissa McKean radiated happiness, and made everyone in the Miss Nebraska audience feel it. She also shared that positivity with her fellow contestants, voted Miss Congeniality by the majority of the other titleholders. LaRissa CAPTIVATED the audience Thursday night, winning the Preliminary Talent Award with an energetic and dazzling dance (another Kitty Lee Dance graduate!) As I told one of my friends during finals night, she JUST MAKES ME SMILE. What a better role model than that? BREATHTAKING. I love watching dance, but don’t know much about it (and hurt myself trying.) I know even less about ballet, but I LOVE the costumes, the makeup, the SHOW. And boy, oh boy, did Steffani Jiroux deliver. It was like watching a scene from a movie. Steffani also seemed to enjoy herself every moment; smiling nonstop, walking across that stage like she OWNED it, twirling around her Little Sisters like they were just dancing in the living room and not competing for the title of Miss Nebraska. What’s next for Steffani? Continuing LAW SCHOOL at Creighton University. SENSATIONAL. 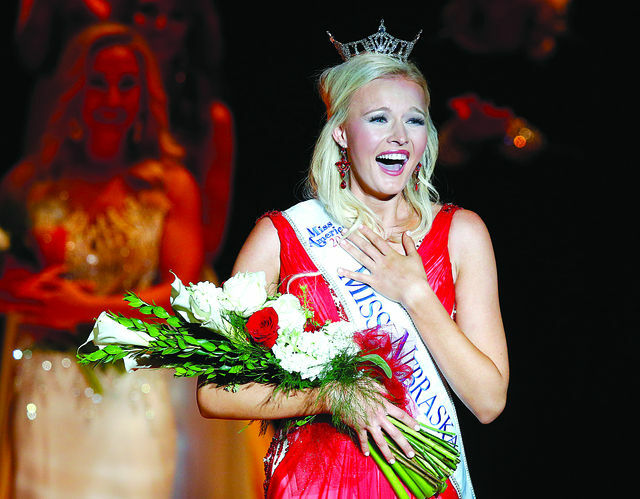 Miss Nebraska and Miss America challenge a woman to become the best version of herself in all areas, and Brooke Ludemann pushed herself to the max in every. single. test. Her gown made me gasp (in a good way! ); her answers showed evidence of a woman with a business plan as Miss Nebraska; her physical self was a demonstration of what our bodies can become with hard work and discipline, and her talent.. I have no words. On the final night of competition, with everything on the line, Brooke’s performance singing ‘Bring Him Home’ from Les Miserables game me CHILLS. Brooke won 2nd place for the Miss Nebraska Community Service Award, and she will be Nebraska’s representative at the National Sweetheart Pageant this summer. JAW DROPPING. Every time Allison Tietjen walked on stage, my eyes were just DRAWN to her. (In a completely uncreepy way, regardless of how that sounds…) She is the model of poise, grace, and beauty. Allison could’ve walked right off the Miss Nebraska stage onto Hollywood’s red carpet and fit right in. BUT, what I love is that Allison knows, and SHOWS, this program’s power and purpose extends long beyond Miss Nebraska week. Allison’s work promoting awareness of our veterans earned her the Miss Nebraska Community Service Award and the Miss America Community Service Award; she also earned the Miracle Maker Award for raising more than $1300 for the Children’s Miracle Network, helping hospitals like Omaha’s Children’s Hospital and Medical Center. Oh yea, and Allison JUST TURNED 19 in April. Truly exceptional. I would argue not one of these women is ‘better’ than the other; each is SENSATIONAL. They each prepared, volunteered, practiced.. hoping THIS was their year, and their time. 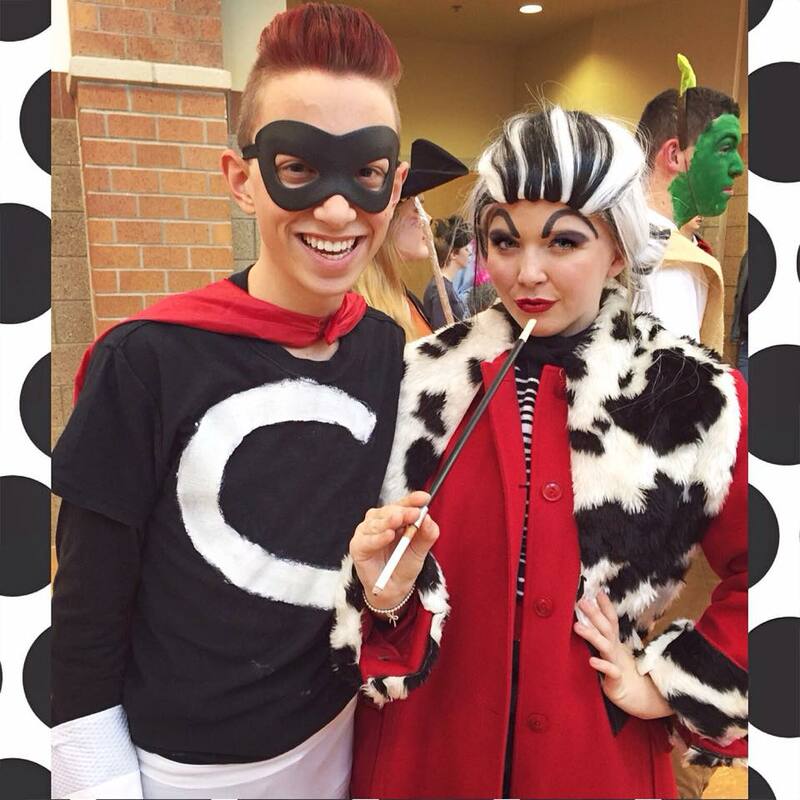 It was only destiny for one–and Alyssa is FABULOUS. But this is why you see so many girls try again for the crown.. and thank the Lord for that, because they are all deserving, INCREDIBLE women, and bringing them together to recognize them and their accomplishments is uplifting and inspiring to everyone who can be part of it. WE ARE WOMEN, HEAR US ROAR!!!! 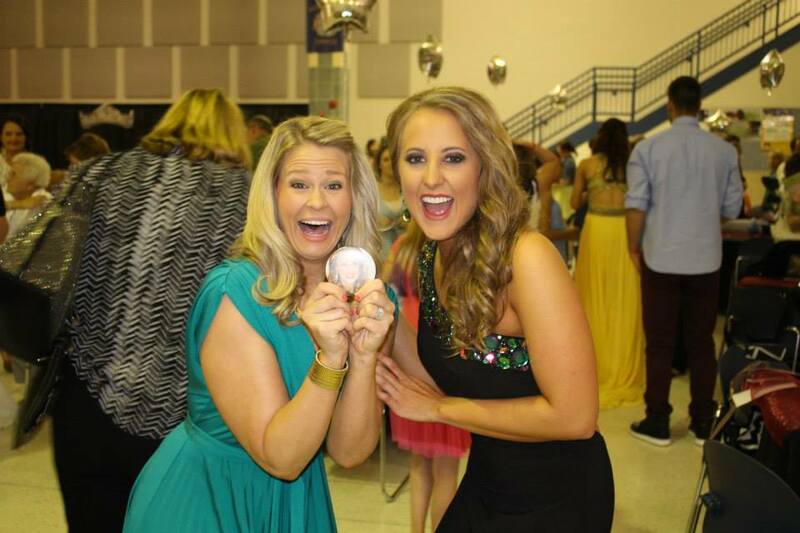 The 2nd Annual Brandi Petersen Unofficial Superfan Awards! Again.. the work and service that take place the other 364 days of the year are arguably the most important part of the Miss America Organization.. but I LOVE LOVE LOVE the gowns!! C’mon.. from dreaming of your wedding gown, to picking out prom dresses, to playing dress up as a little girl, who DOESN’T love beautiful dresses?!? 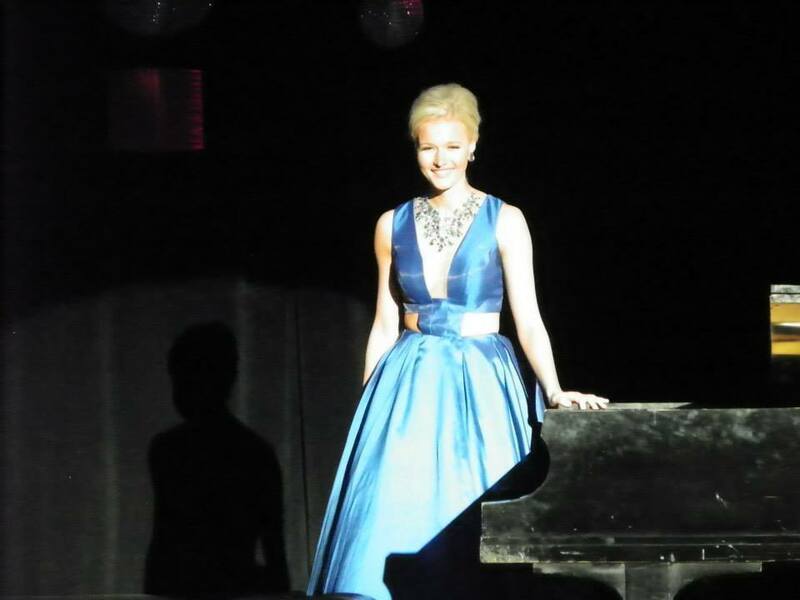 2015 was simply a RAINBOW of color on the Miss Nebraska stage, and THAT alone made it awesome. So much diversity; different colors, styles, fits.. and so much elegance! The ‘Holy Crap, Petersen, Put Down That Blizzard’ Awards..
I’d like to show you my reaction to this year’s Miss contestants competing in swimsuit. My thanks to Taylor Swift for the assist. ABSOLUTELY SENSATIONAL. This year EXEMPLIFIED that Lifestyle and Fitness is just that–this competition is intended to encourage women to treat their bodies like temples and reach their full physical potential. AND THESE WOMEN DID. Abs, biceps, quads for days. This wasn’t about starving, or being the skinniest. You could SEE their work; the time they spent in the gym and the time they DIDN’T spend at their local fast food spot. Miss Omaha Megan Gould was my winner for swimsuit. I know this girl puts in countless hours of dance and practice as a Nebraska Cornhusker cheerleader, and WOW-did that hard work show!! Plus Megan was just SOO confident, not conceited in the least, just wonderfully comfortable in her own skin. You go, Megan! Miss Heartland Steffani Jiroux. This is her profile picture now on Facebook (taken by Kamie Stephen for the North Platte Telegraph), and to me, that’s using restraint. If I looked like this, I’d make a cardboard cutout of myself to greet people at my front door. THIS is what happens with 20 years of ballet training and several more as a member of the Creighton University dance team! 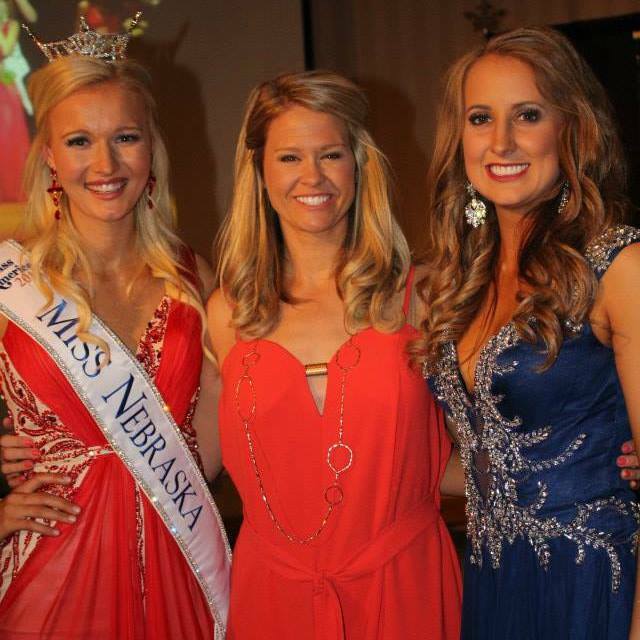 Miss Kearney Crane Festival Allison Tietjen was the Overall Swimsuit Winner at Miss Nebraska this year, and here’s why! Another absolutely radiant moment in red for the UNL sophomore, and in case you’re wondering, she’s a piano player.. so what you see is the result of sheer hours in the gym and dedication to nutrition! And Miss Kool-Aid Days Brooke Ludemann. Just.. WOW. MUSCLE ON MUSCLE WITH MUSCLE. When I messaged Brooke about using this photo, she responded ‘I’m darn proud of those photos!’ AS SHE SHOULD BE!! AH-MAZ-ING!! STRENGTH, POWER, HEALTH. Are you listening, America? I just read this morning there are more clinically obese people in our country than simply overweight Americans. Heart disease remains a leading killer. These women exercised and ate healthy with consistency and self discipline for months, and likely formed a foundation to continue to do so to some extent. Long after that 10 second walk across stage in a swimsuit, their health is improved, their confidence is boosted, and they’ve empowered and inspired many others. (I’M AT THE TOP OF THAT LIST!) Ladies, you should be so very proud of yourselves. 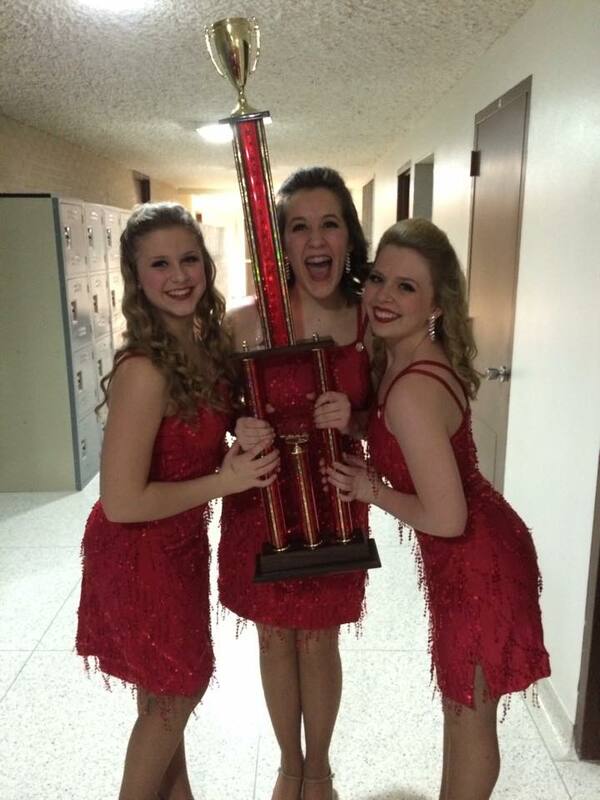 The Nebraska’s Got Talent Awards..
MY WINNERS FOR TALENT: THIS YEAR’S MISS NEBRASKA’S OUTSTANDING TEEN CONTESTANTS. 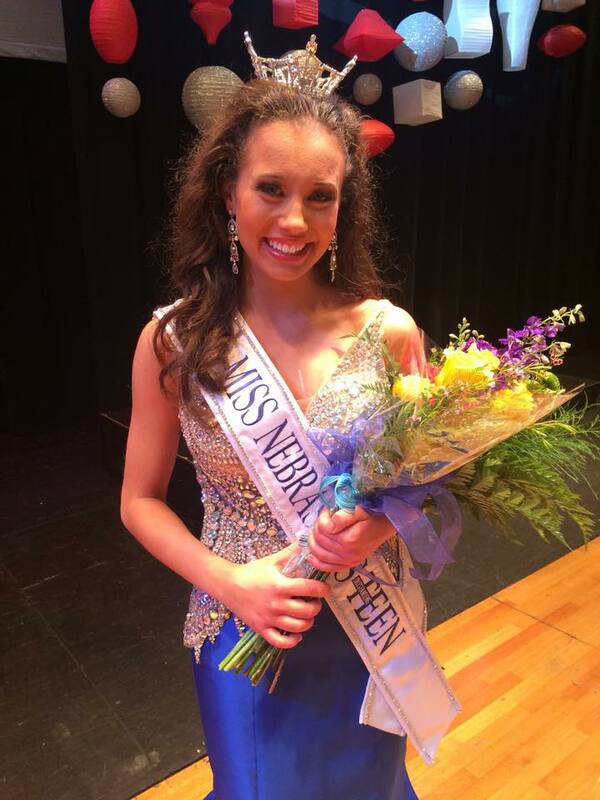 First of all, CONGRATULATIONS to the other young woman who wrapped up this weekend in North Platte with a state title..
Miss Douglas County’s Outstanding Teen Steffany Lien is now Miss Nebraska’s Outstanding Teen 2015! 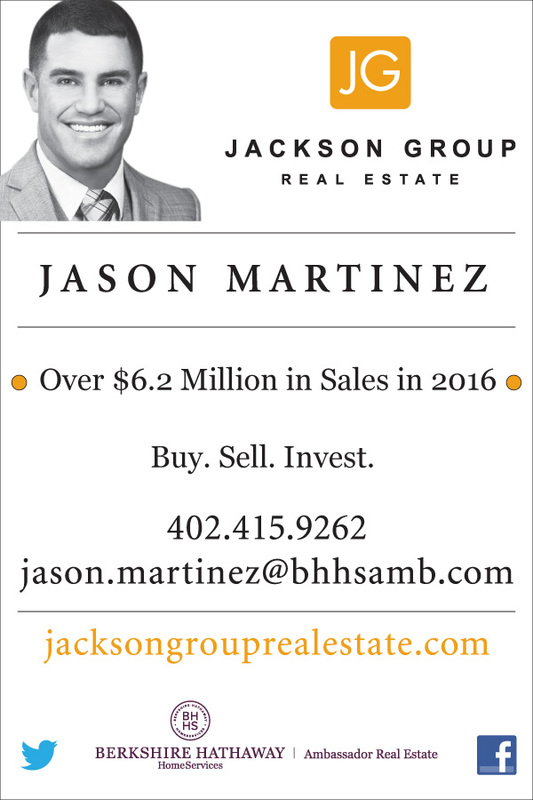 (A 3-peat for Omaha titleholders!) While Steffany shined all night at the competition, SHE OWNED talent. America, watch out; when this girl competes for the national title in Orlando this July, she will STUN YOU! CLICK HERE to see a preview, showing Steffany competing at the World Championships in Italy in April, winning her SIXTH world title. Steffany does things with a baton that challenge the Laws of Gravity and Physics. Not only have I never seen her drop a baton in competition, I’ve never seen the girl even ‘almost’ drop one in rehearsal. She is SENSATIONAL! 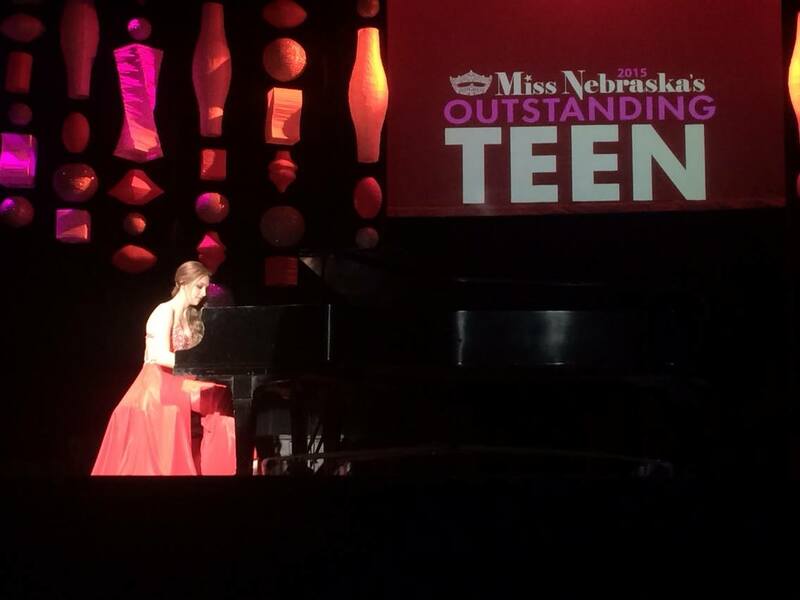 Nebraska’s 10th Outstanding Teen was one of several incredibly talented young teenagers who competed in North Platte this year. Piano players, singers, dancers.. these girls are so young they can’t vote, but they knocked the socks off everyone in the audience Friday night. Among my favorites (along with Steffany, of course!).. 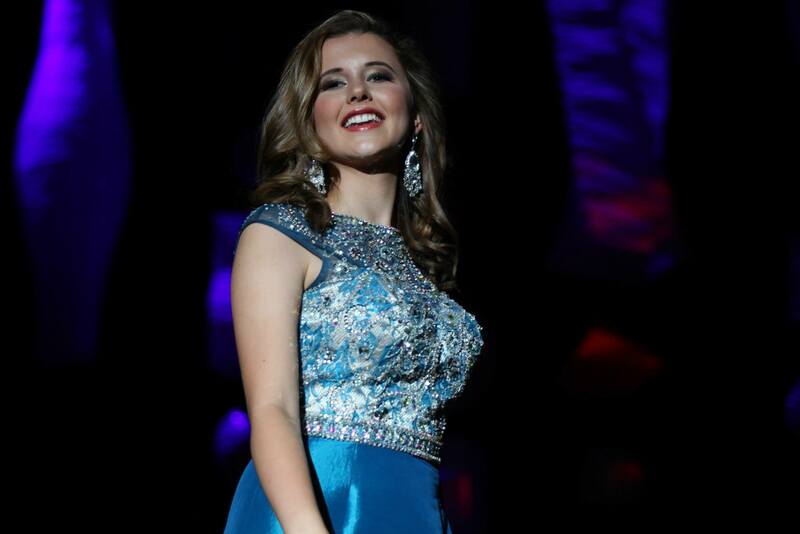 Grace Heggem, Miss Scotts Bluff County’s Outstanding Teen, was dazzling from start to finish. She played Tarantella on the piano, her fingers dancing across the keys at the speed of light, and she NAILED it. Much like ballet, I know nothing about piano, but I can hear a bad note… and I didn’t hear one off-key when Grace performed. Incredible! 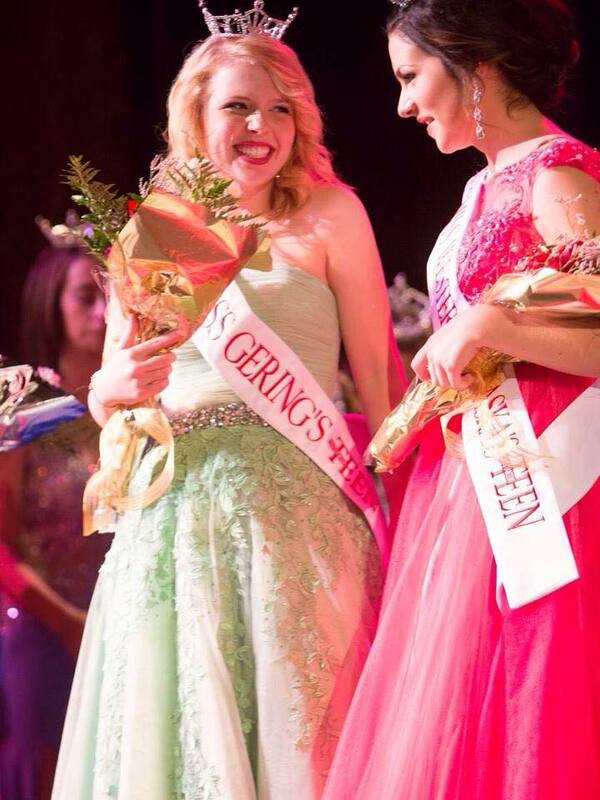 Emma Keifer, Miss Gering’s Outstanding Teen, was just a joy to watch. I felt like I was watching an act from So You Think You Can Dance (and you all know what a freak I am about that show!!) Emma tapped.. up and down STAIRS. Her energy was just OFF THE CHARTS. Emma, you would’ve made Nigel proud! And finally, though she wasn’t competing for a title, this performance was MY FAVORITE TALENT PERFORMANCE OF THE WEEK.. THE WATER CUPS DANCE. 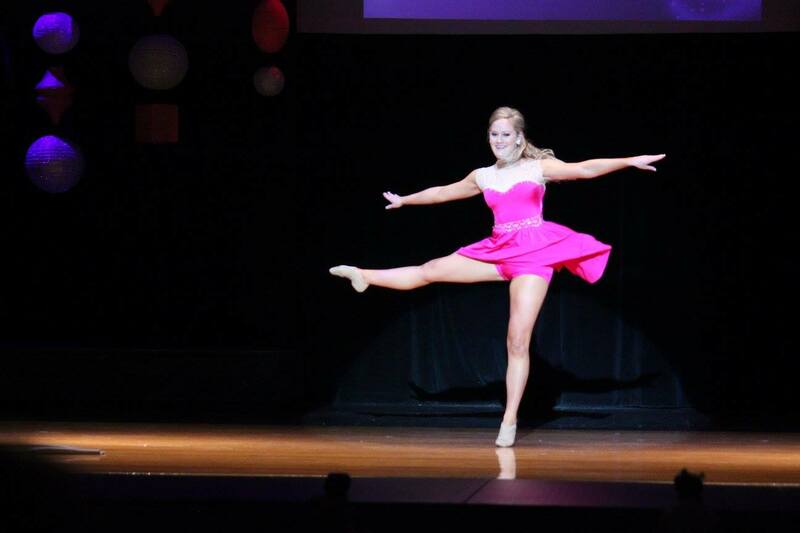 Miss Nebraska’s Outstanding Teen 2014 Morgan Holen, performing the same dance her mother Jodi did as Miss Nebraska 1988 at the Miss America pageant that year. Balancing three cups of water on her hands and forehead, Morgan bent backward, forward, down into splits, up from splits… all without spilling a drop. You could’ve heard a PIN drop in the auditorium, as hundreds of us collectively held our breath through this performance. ABSOLUTELY INCREDIBLE.. just like Morgan. Many of us shed tears as she took her final walk as our state titleholder.. mine started to fall as her proud daddy, Brad, handed her a bouquet of flowers at the bottom of the Miss Nebraska stage. The sky is the limit for this young woman–you WILL see her again. We all have someone we just ADMIRE.. their style, their confidence, just because THEY ARE AWESOME. Some of mine: one of my best friends Jenni Rohacik who always looks so good she could host E!, my neighbor Brittni Madden who can take a picture off Pinterest and make a project look like it cost thousands of dollars.. and my fellow anchor/reporter/forever Miss Omaha Brittany Jeffers-Hannema, who I swear is fabulous, in every way possible, 24/7. (And now that I’ve declared my obsession with these ladies.. they may all be working on protection orders..) THESE GIRLS ARE JUST AWESOME! 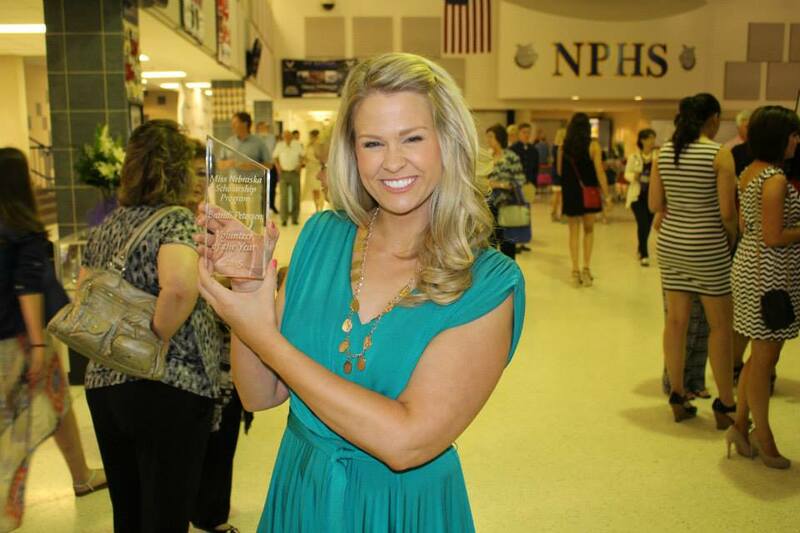 Brittany gets the award named after her because she had to work rather than attend the Miss Nebraska pageant this year.. she may have been on air in Oklahoma, but her heart was in North Platte! 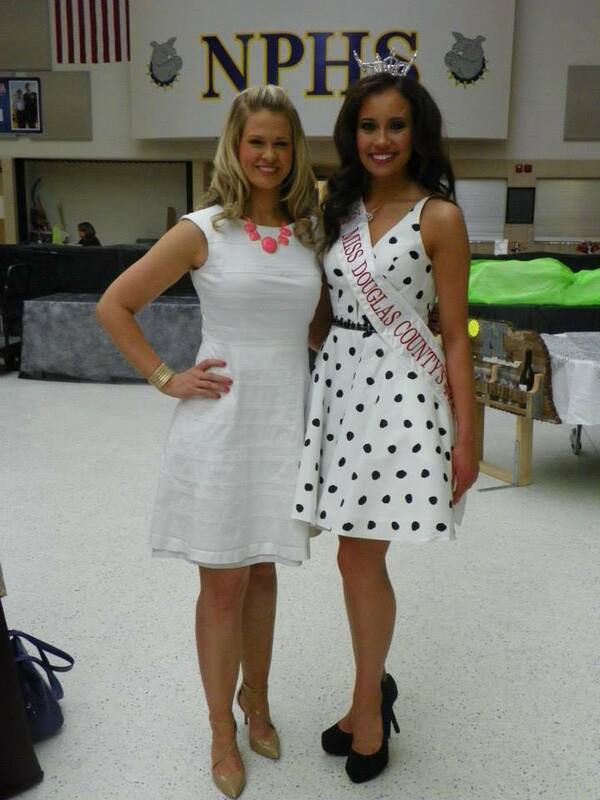 Two young ladies made a huge impression on me this year.. two teens who I didn’t know prior to this year’s pageant. Shelby Blundell, Miss Chadron’s Outstanding Teen, was the youngest and tiniest of ALL of this year’s contestants, Miss and Teen. She was also Contestant #1 in the competition, a tough draw; you set the bar for the judges, you are the first contestant both that panel and the audience will see. Shelby rose to the challenge, nailing her song in talent, and impressing the hell out of me during her on stage question. Shelby was asked a very tough question, whether LGBTQ issues should be discussed at school in the classroom or in group/activity settings, or if those topics are best left for family and group discussion outside of school. Without hesitation, tiny Shelby answered confidently and quickly, sharing her opinions without pause. That’s a tough issue for politicians and public leaders to address, and often we see adults avoiding giving a clear answer. This young woman tackled the issue head on, and agree with her or not, it was refreshing to see such a young person stand tall and share her opinion. 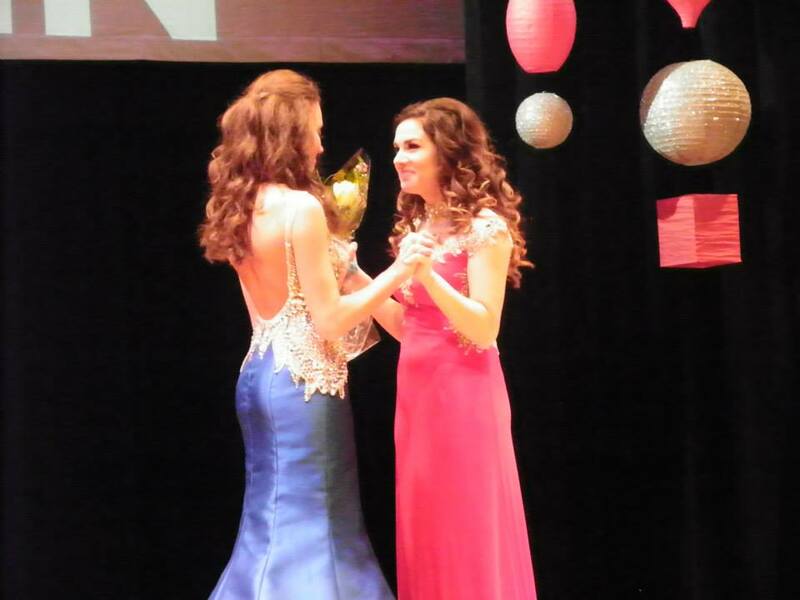 I was also SO very impressed with Allison Baird, Miss Western Nebraska’s Outstanding Teen. 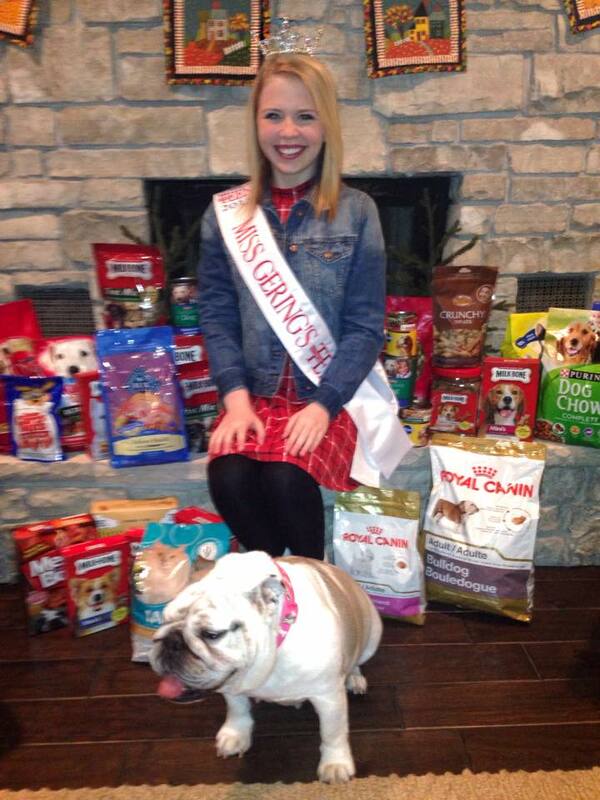 For the second year in a row, Allison was named 1st Runner Up in the teen competition. I’ve touched on this before.. as exhilarating as it is to hear your name called as a new titleholder.. it is incredibly disappointing when all of that work does not result in that win. Allison’s now been through that twice.. coming ever so close both times. BUT.. the moment that curtain closed after Steffany was crowned, when the spotlights were off and no one was watching her (except me, the nosy emcee/reporter backstage), Allison was the first one to smile and hug Steffany. She was also the first to hug Morgan last year–and not just the cordial ‘arm around her, pat pat pat’ hug.. but a genuine embrace, wishing a friend well. It’s the moments you think no one is looking when your true character is revealed. Allison Baird is an exceptional young lady. A gorgeous voice. Mature and smart. Beautiful. And in those moments, when I can only imagine how her heart was breaking, she showed class and selflessness, to celebrate Steffany’s moment. That’s something you don’t often see in adults, let alone a young woman just entering her senior year of high school. Again, these competitions are not about choosing ‘who is the best’, but who is right for the position at that exact moment in time. YOU ARE A WINNER, ALLISON.. your future is so very bright. 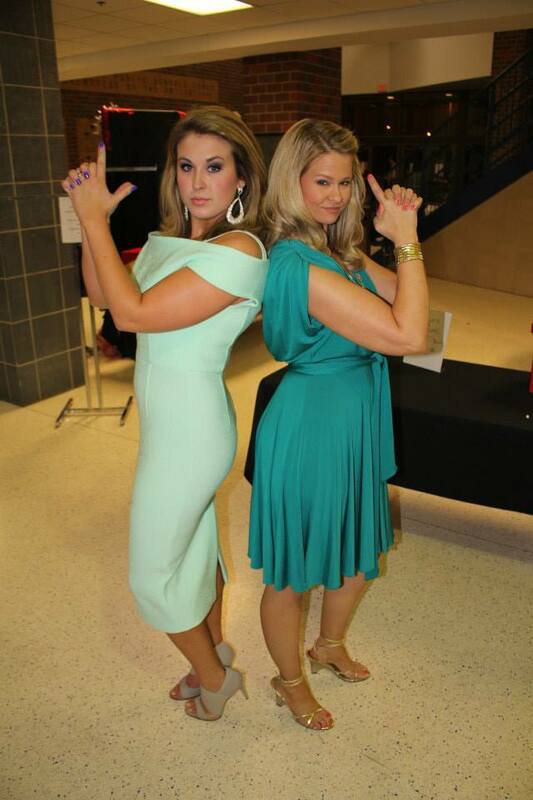 So did you pick up on that ’emcee/reporter’ note? 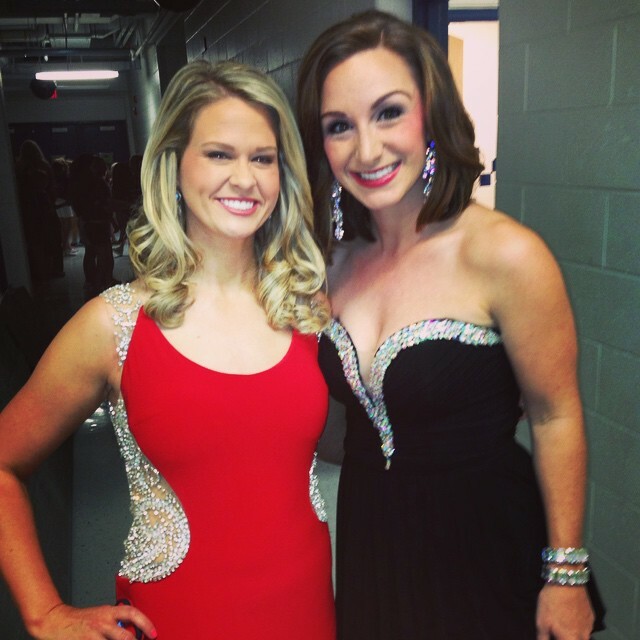 I had the GREAT honor of co-emceeing this year’s Miss Nebraska’s Outstanding Teen pageant with this beauty, my final Awesomeness Award Winner, Jessica States! A) She can sing REALLY well B) She’s a born leader, holding a respected position with Junior Achievement of Lincoln C) She was THE FIRST Miss Nebraska’s Outstanding Teen in 2005! 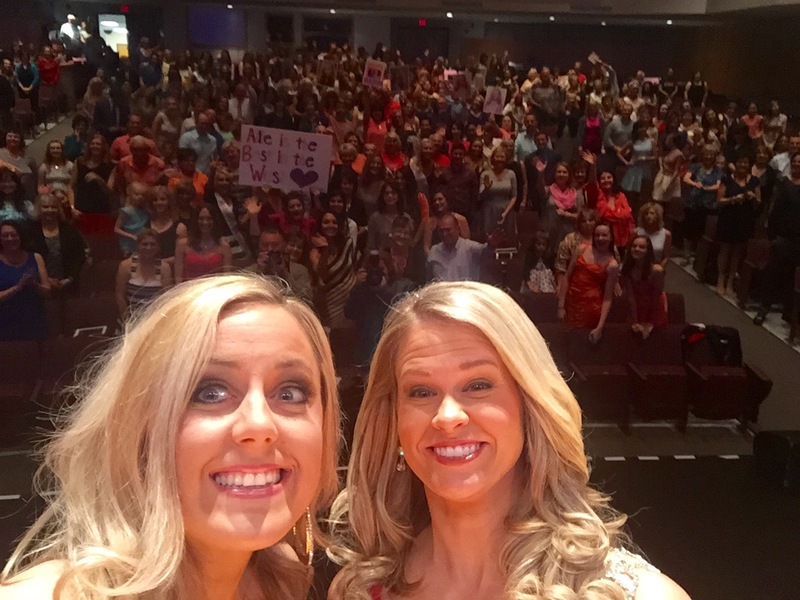 What a terrific, empowering week of incredible women and the people who support them. AND MORE THAN $400,455 IN OFFERED COLLEGE SCHOLARSHIPS. But hey, it’s just a silly scholarship pageant, right? 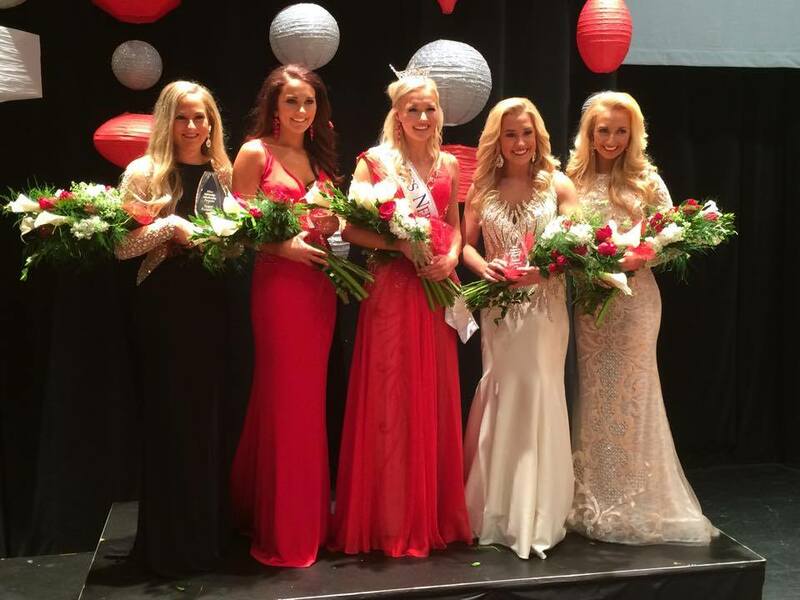 One final message to wrap up this post, and this year’s 2015 Miss Nebraska series.. I was SO very honored and humbled to receive this year’s Miss Nebraska Volunteer of the Year Award. THANK YOU, THANK YOU, THANK YOU to all of you who have read these blogs and offered your congratulations. I’m still mystified and elated that so many people check in to read my work, and to receive such an incredible honor for it is just a thrill. THANK YOU. To all 24 of the young ladies who competed in North Platte, YOU EMPOWER ME. You are the future of our state, and our country, and that makes me so very proud. CONGRATULATIONS Alyssa, Steffany, and every young woman taking a chance to set an example, be a role model, and to just SPARKLE. No matter what you do next, crown or not, go out into the world and continue to ROAR. 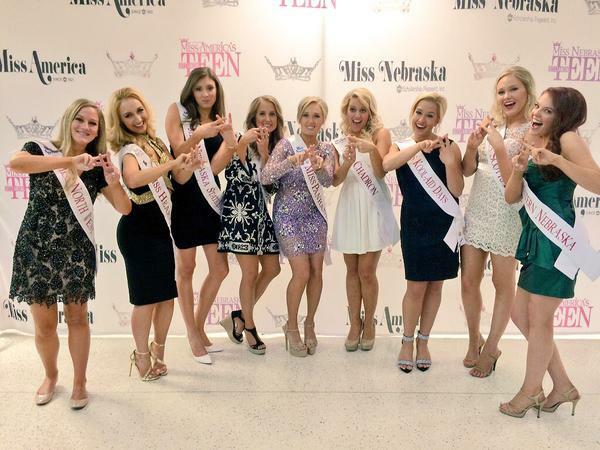 Click here to learn more about the Miss Nebraska Organization, and the Miss Nebraska’s Outstanding Teen Pageant. 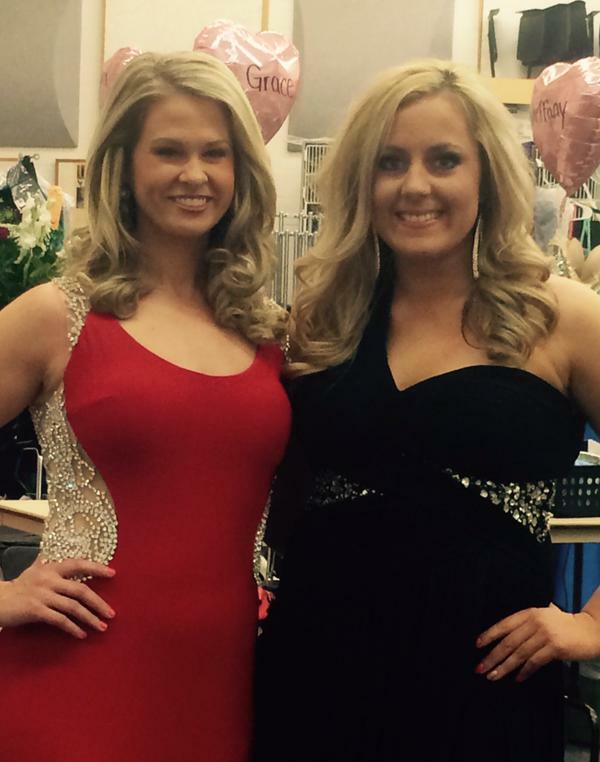 You can also visit Miss Nebraska on Facebook, follow the pageant on Twitter, and follow the pageant on Instagram. 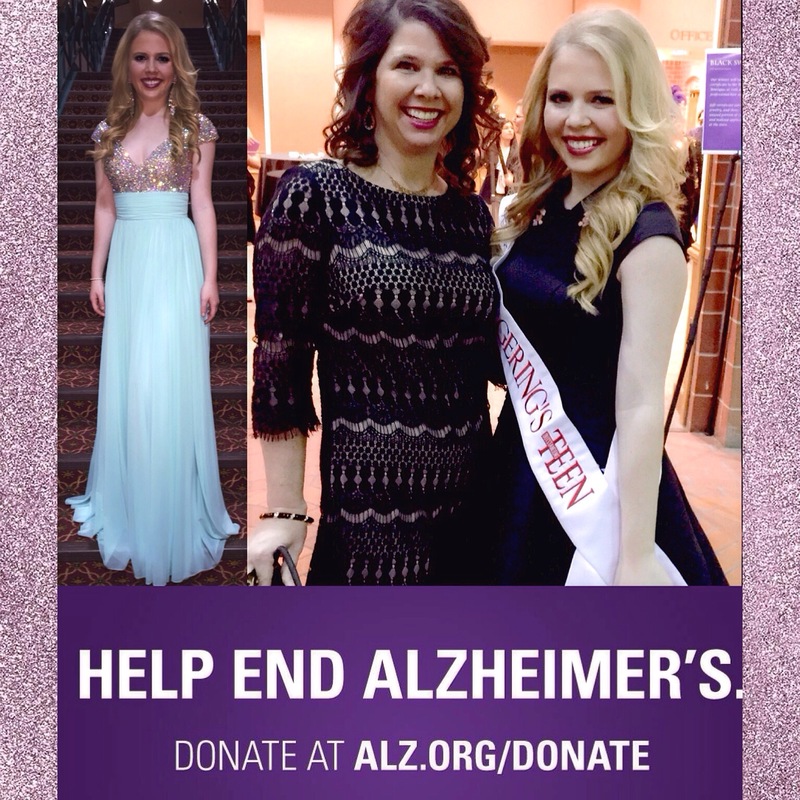 To read more about the Miss Nebraska, and Miss Nebraska’s Outstanding Teen Class of 2014, click on the ‘There She Is’ link at the top of the page. When you look back at your years in high school, do you remember who won the senior superlatives in your class? Most outgoing, best personality, most likely to succeed, most school spirit. 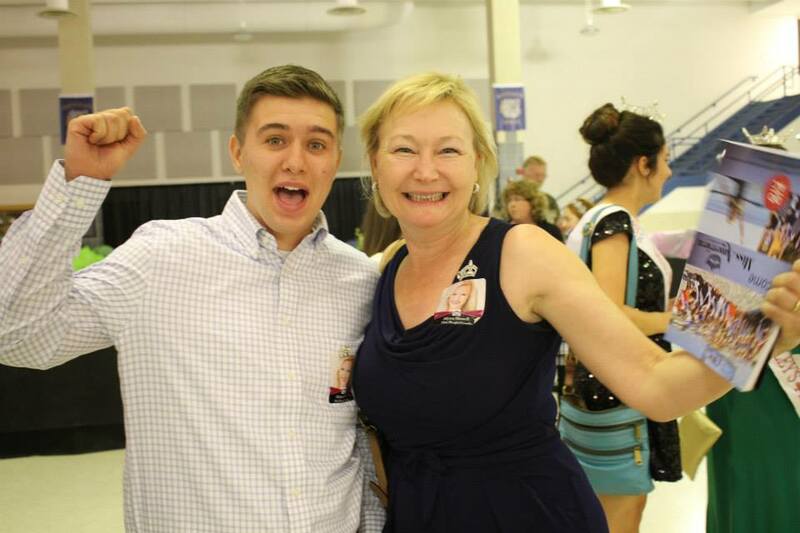 In my class, one of the ‘superlative’ winners was my good friend Jake Ozanne, named Most Outgoing. He could have also been coined ‘Most Popular’, ‘Most Inclusive’, ‘Most Welcoming’, or just “Mr. 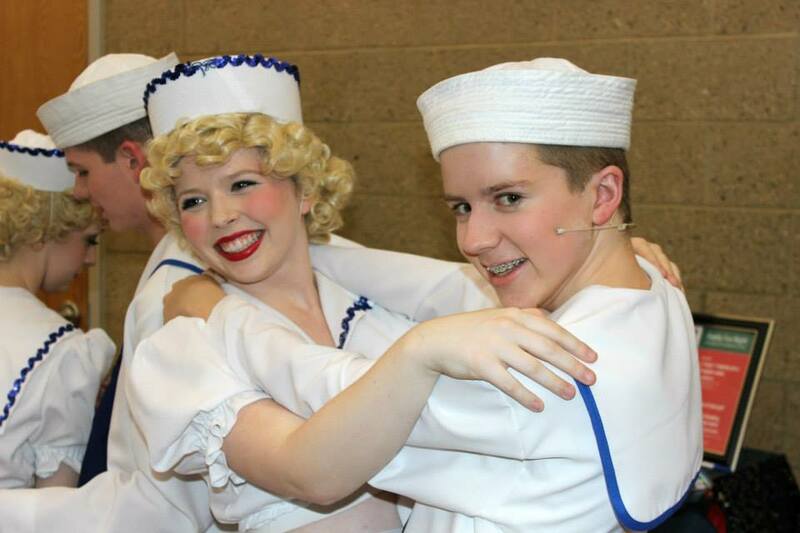 All American Monarch.” Jake was a starting varsity football player, who also has a sensational voice and was one of the star’s of PLHS’s sold-out presentation of Grease. He did it all and was friends with EVERYONE along the way, no matter what clique, group, or friendship circle you were part of. PAPIO LOVED JAKE, and we still do. 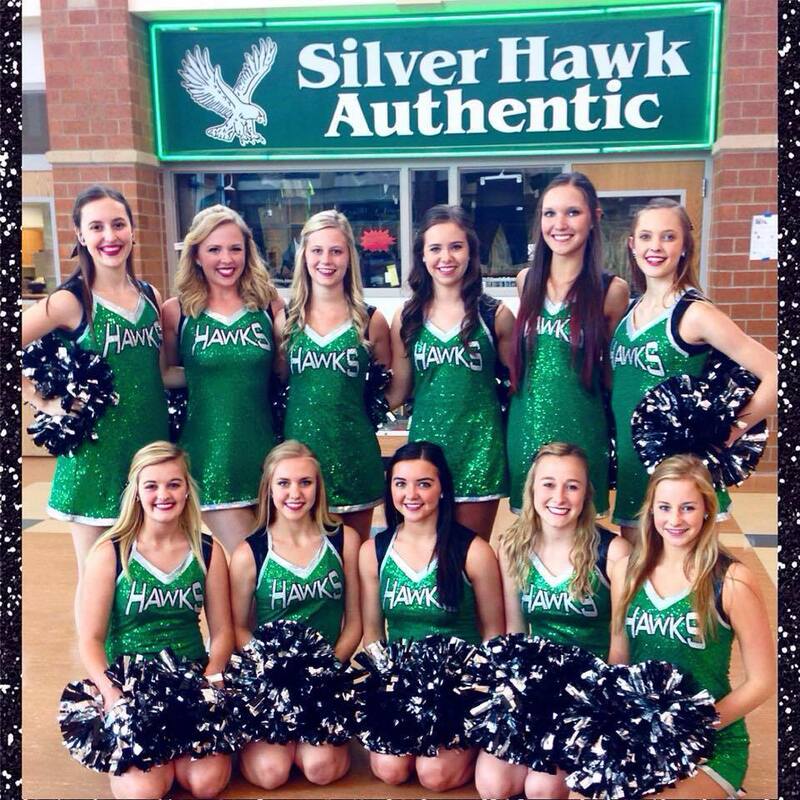 Lincoln Southwest High arguably has SEVERAL contenders for the title.. THREE Silver Hawks will be competing this summer for the title of Miss Nebraska’s Outstanding Teen. One of these young ladies is the Queen of Superlatives.. because after my reporter research, I question if there is anything this beauty CAN’T do. Emma is an actress, a singer, a competitive speaker, and a dancer. 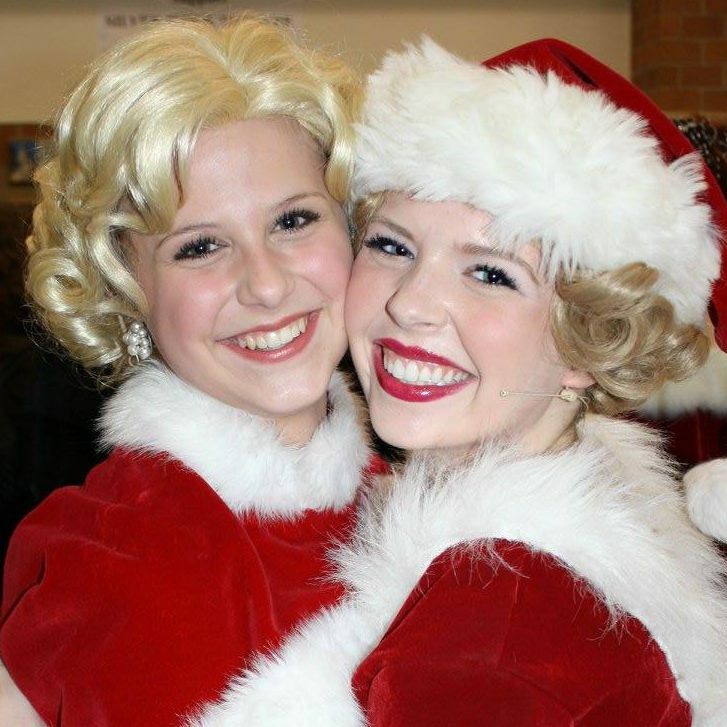 She not only takes part in all of these activities at Lincoln Southwest High, she’s an award winner in many of them..
Emma is also an active member of Lincoln Southwest High’s theater program, named Freshman of the Year and cast in this year’s production of White Christmas, chosen to be part of the 2015 International Thespian Festival Showcase. 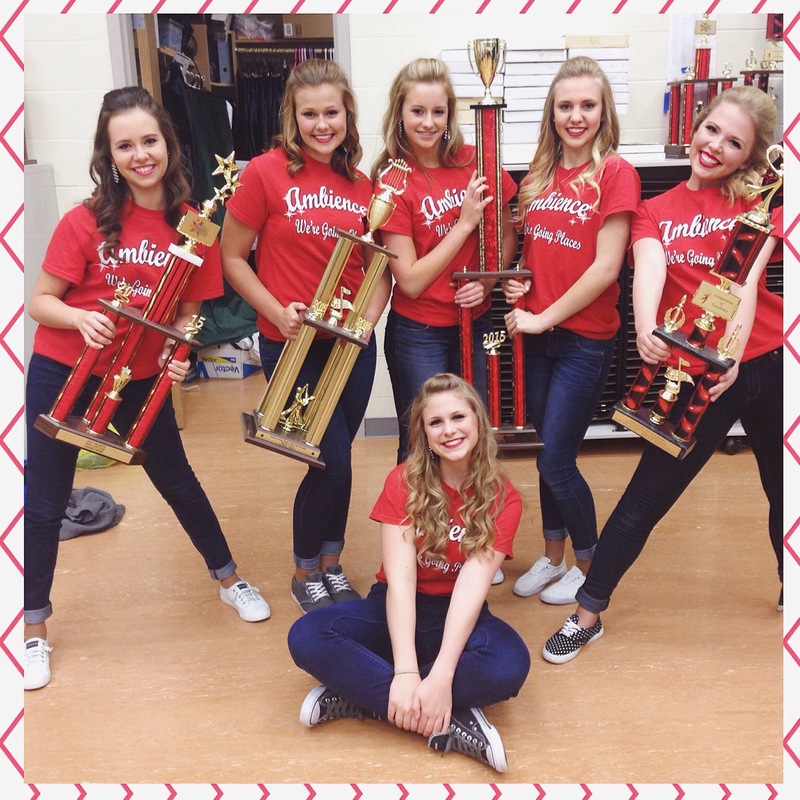 Emma’s also a national speech qualifier and a member of the Lincoln Southwest Emeralds Dance team. In case you had any doubts, I looked up ‘does it all’ with Merriam Webster and Emma’s picture accompanies the definition. HOLY COW! 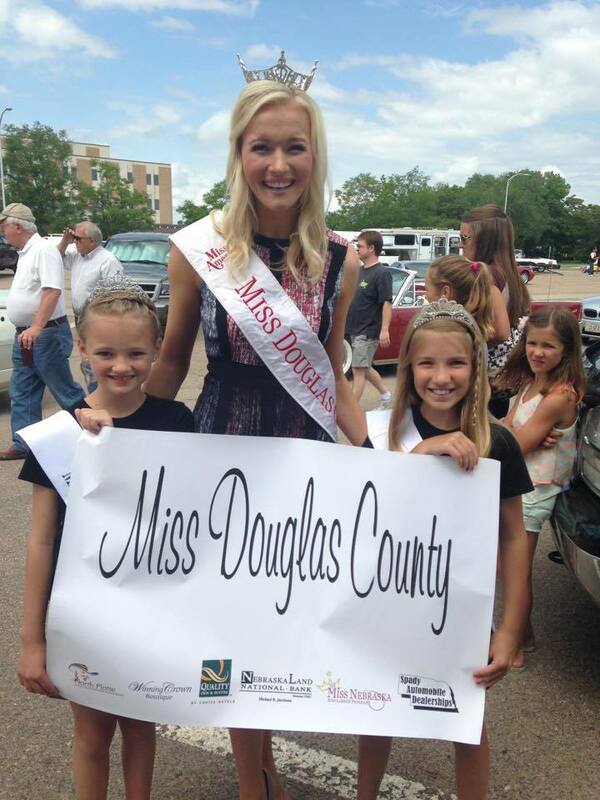 Still, she added to her resume this year, competing for and winning the title of Miss Gering’s Outstanding Teen. Emma was crowned in early October, and despite her incredibly demanding activity schedule at school, Emma gave of her time as Miss Gering’s OT at least once every month, often times more. And just recently, in April..
And in May, Emma turned 17. Yea, Emma Keifer IS A SOPHOMORE; SHE JUST TURNED 17 YEARS OLD. I am exhausted just reading all of this! I’m also checking to see if Lincoln Southwest is sharing their secrets to success in teaching and training such outstanding young women. 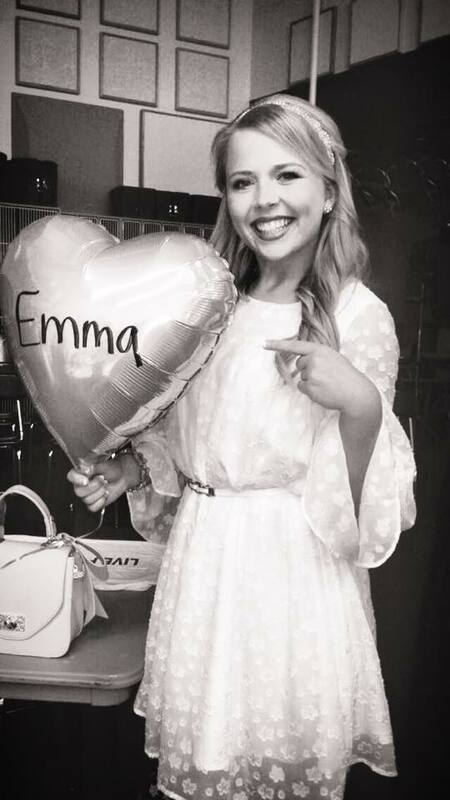 Each of the groups Emma belongs to, whether they be drama, choir, speech, or dance, may have a different superlative for Emma. Who knows what title she could end up with in her senior yearbook. Emma Keifer may capture a title long before that. She’ll take the stage in North Platte in just two weeks, ready to compete for the title of Miss Nebraska’s Outstanding Teen. Follow Miss Gering’s Outstanding Teen 2015 Emma Keifer and contact her for appearances and events on the Miss Western Nebraska/Miss Gering Pageant on Facebook. 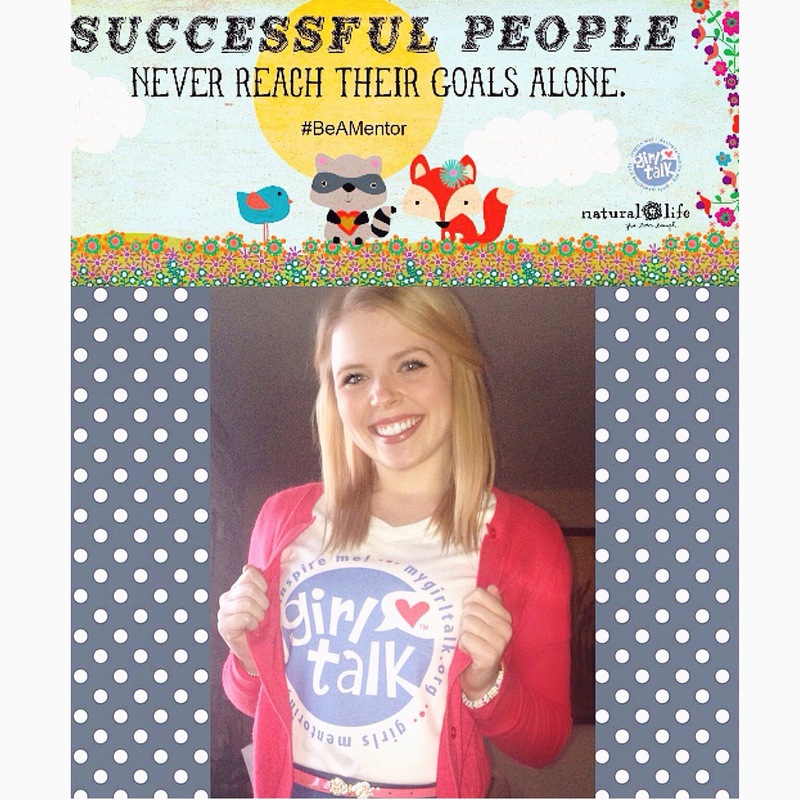 Click here to follow Emma’s platform, Girl Talk!, on Facebook. 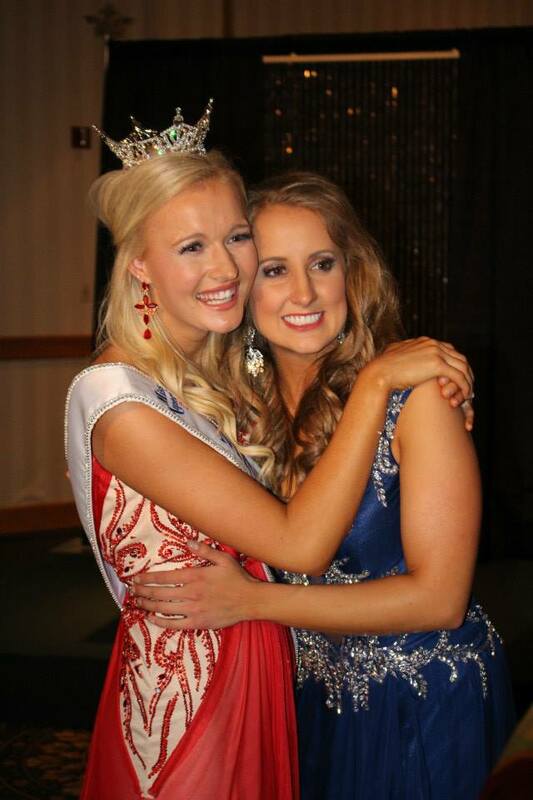 Click here for a special profile on Emma posted on the Miss Nebraska’s Outstanding Teen Facebook page! For more information on becoming a contestant, contact Director Kyla Ansley by phone at 308-631-0938 or by email at kyla_ansley@hotmail.com.